Welcome to the March Hearts of the West Blog Hop! 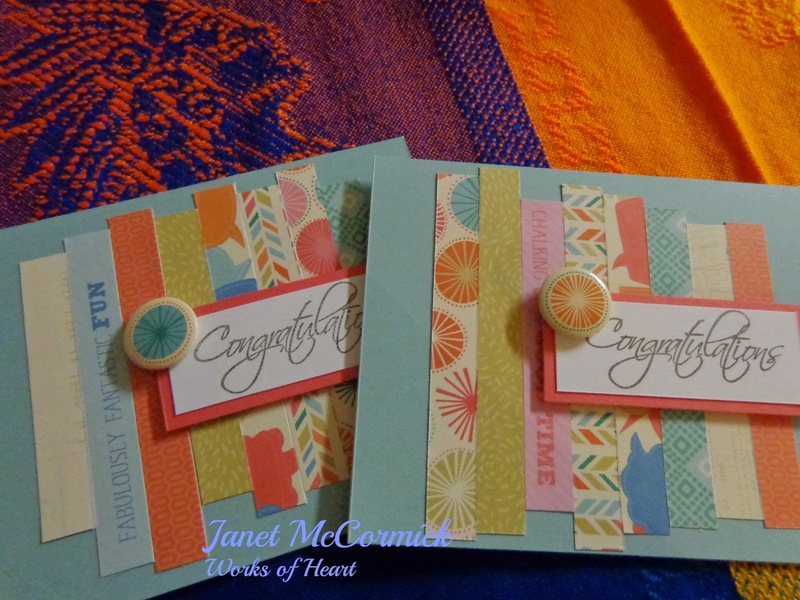 This month's challenge is based on the Hopscotch paper pack, brought to you by the new Annual Inspirations and hand picked by Nancy Klein. If you came from Kim's blog then you're in the right place, but since this is a circular blog hop, you can start anywhere! Just in case, the full list will be at the bottom. So, as always, grab your coffee, tea, or water, relax, and hop around the team with us. The Hopscotch paper is so much fun! 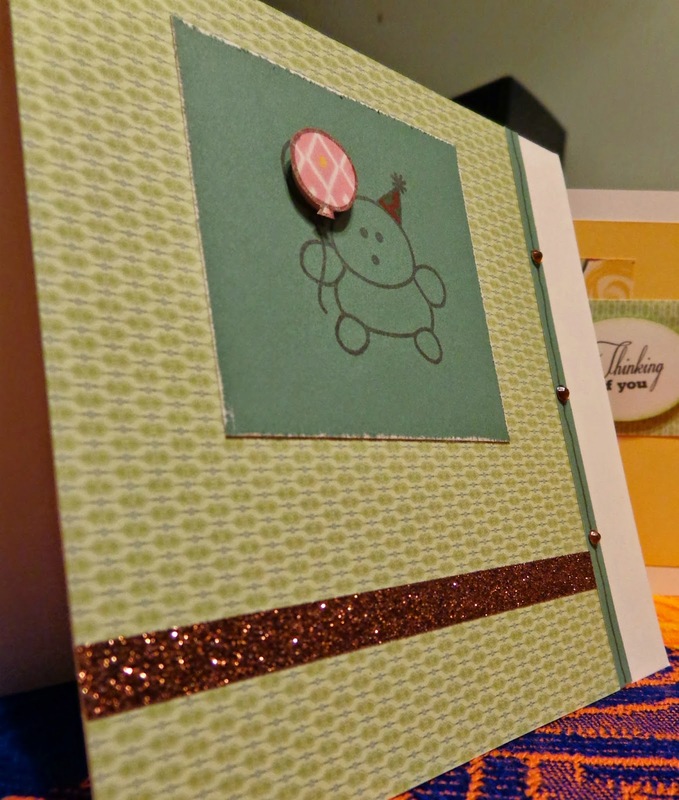 I seem to be on a card making kick lately and decided to make more for this hop. Thank you to Abby Candish Mills and Kristie (no last name) and her blog, The Best Things in Life are Pink for the inspiration! When I started my project this month, it was going to be the alternate layout for the Hopscotch paper, but quickly ended up as cards. 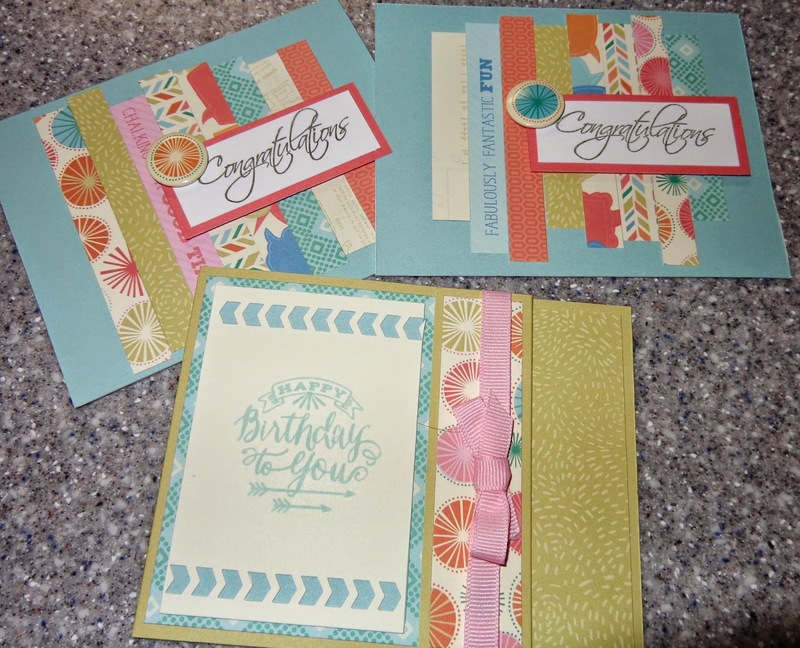 I copied one of the designs from Abby and the other from Stampin' Dolce (from Pinterest). That's it for me! Thanks for joining us this month and come back next month to see what creative projects we can bring to you! Thank you for stopping by and please feel free to leave a comment. If you see anything in our hop that you would like more information about, please contact your local Close to my Heart independent consultant. Since I am the last stop on this hop, we now circle back to Nancy in southern Alberta! Happy hopping!! Welcome to the Use Your Stash blog hop for February! This is a great hop as it forces us to use up what we have stashed away - paper, ribbon, buttons, you name it! It also gets the creative juices flowing! If you got here from Wendy Kessler's blog, you are on the right track! But since this is a circular hop, it really doesn't matter where you start. If you get lost along the way, head on back to Shirley's blog where you will find the entire list of bloggers. I really do love paper! I never seem to have enough of it and I have some stashed away that is just too darned pretty to use up! Yes, I know. USE IT UP!! Then I can buy more! :-) This month turned out to be a challenge. 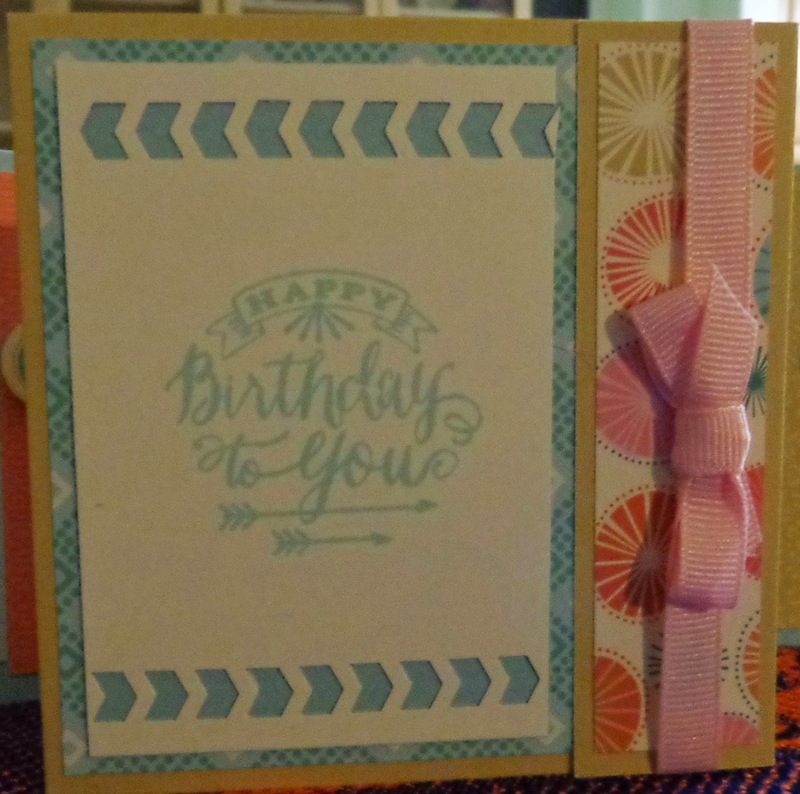 I have made cards, layouts, decor items and more for the blog hops I take part in, but I wanted to make something different this time around. I went looking at my paper for some inspiration and had one of those Ah ha! moments. Nothing!! Then tonight when I got home from work, I was washing my travel mug and finally - AH HA! My travel mug is one of the kind where you can change the look of it by unscrewing the bottom and adding photos, paper, or whatever else you have that is thin enough to fit in between the walls. I love to change the look of mine regularly, partly to highlight our gorgeous papers, but also to keep my barista at Starbucks confused! My project is very simple, but by changing the paper each week, it really shows my love of paper of all types! 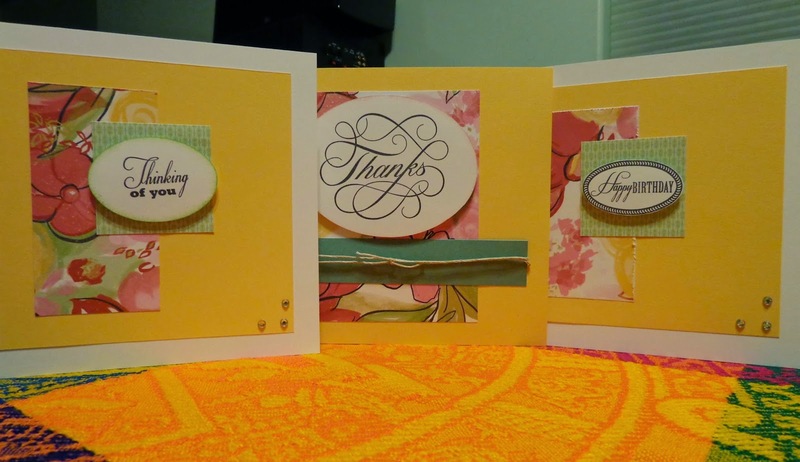 I can add thin embellishments, such as our Complements stickers, and it changes the look once again! Last week I had some Jubilee paper but decided to use one of our current papers this week. I love the Seaside bulk paper and because our paper has pattern on both sides, next week I will just turn it to the polka dot side! Double duty! And here it is all finished with the Seashore Complements! Doesn't it look great? Now I can hardly wait to get to my favourite coffee joint tomorrow to show it off! Well, that is it for me this month. From here, head on over to Cassandra's blog for some more great artwork! 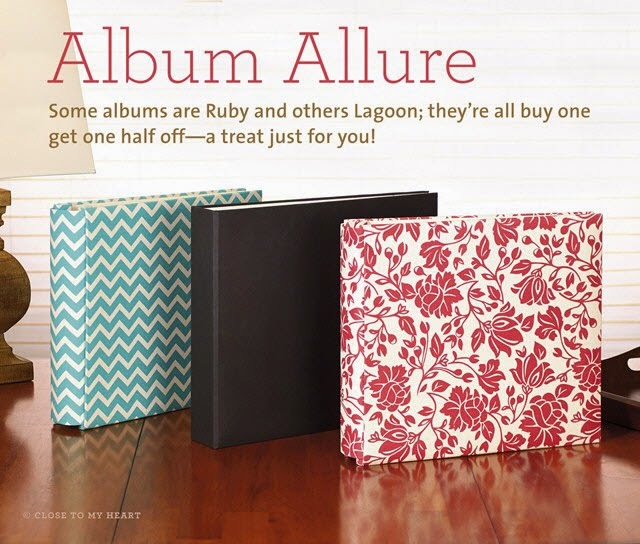 Some albums are Ruby and others Lagoon; they’re all buy one get one half off—a treat just for you! During the month of February, when you purchase one of Close To My Heart’s alluring coated canvas albums you will be eligible to receive a second album of your choice at half price. That is a savings of over $17 USD / $19 CAD! These albums are available in a gorgeous variety of colors and patterns in both post-bound and D-ring styles—perfect to pair with traditional, Studio J®, or pocket scrapbook layouts. This offer is only available while supplies last, so make certain to get your order in early to ensure you can choose the styles and colors you love. They’re going fast and are built to last; so don’t delay—place your order today on my Close to my Heart website: http://janmccormick.ctmh.com! Dates: Offer valid February 1, 2015–February 28, 2015.